Check out our sock wall! 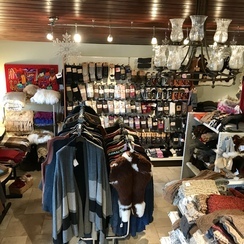 Wide variety of alpaca merchandise! Hat-Trick shops at Alpaca Palace! 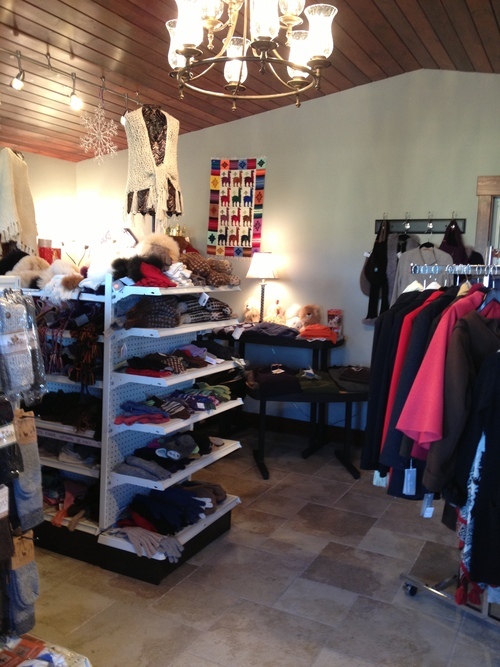 Alpaca Palace is home to our farm store, Alpaca Palace's Luxury Clothier. 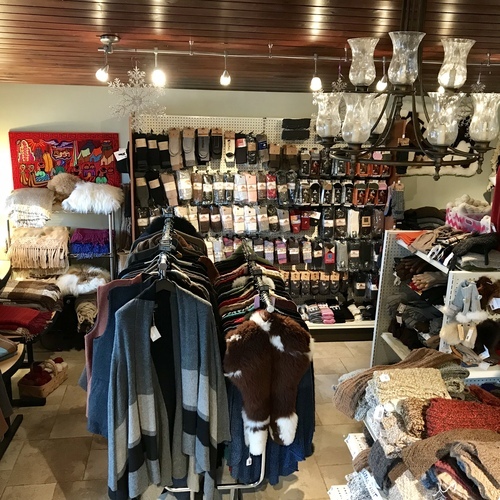 We offer men's, ladies, and children's alpaca apparel and accessories as well as hand knit items from our own alpaca's fiber. In addition, we have a wide variety of home goods such as blankets, throws and rugs... These items make terrific unique gifts for any occasion. 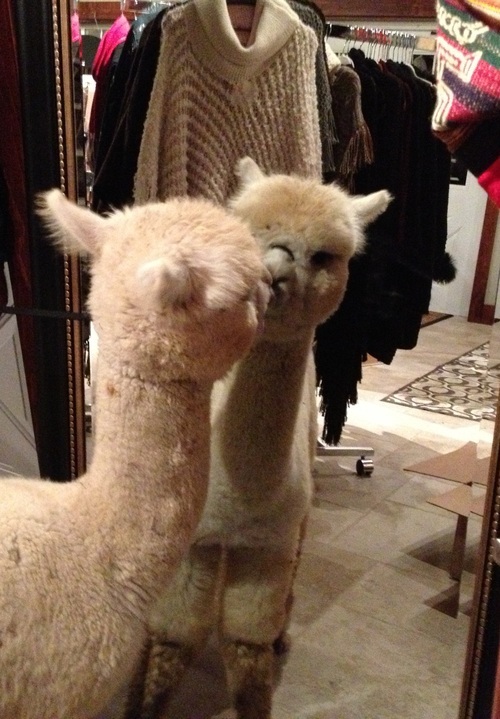 As most of our customers say, "Once you try alpaca socks, no others will do!!!" And for the knitters, 100% alpaca yarn ... yarn, yarn and more yarn all from our own animals available at $18/skein. White skeins are available for sale at $20/skein. These skeins were created from our champion animals - Houdini, Zeus, Troubadour, Glamour, Venus. All at microns less than 20. You could use these skeins naturally or dye them for a fun beautiful project. They are extremely soft! Check our website often for updated store hour information. As we get closer to the Holiday Season, hours will be extended for demand! Stop in and find the perfect gift. We have something for anyone of all ages. Master Card, Visa and Discover are accepted.